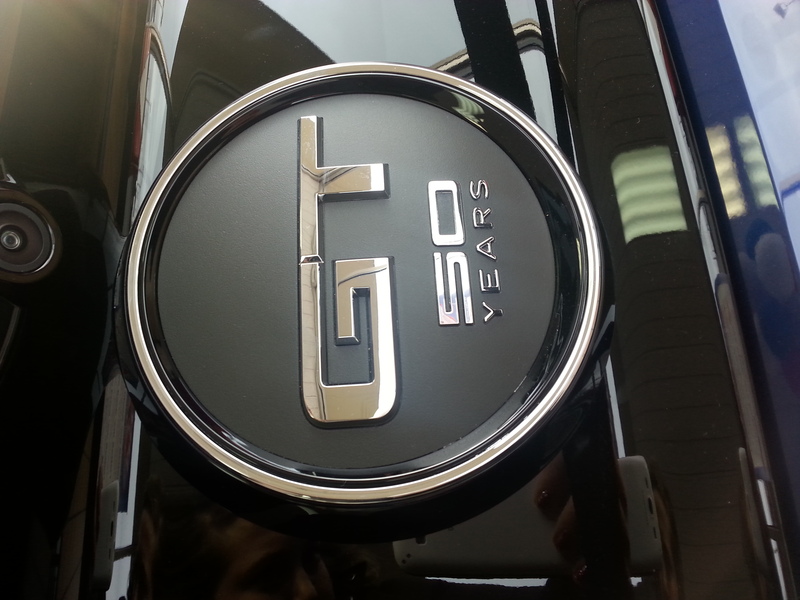 April 17, 2014, marked the 50th anniversary of the introduction of the original Ford Mustang. 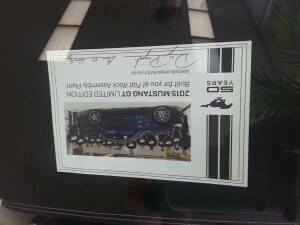 In celebration, Wetzel Ford is proudly displaying a true 50th Anniversary Mustang in the showroom. 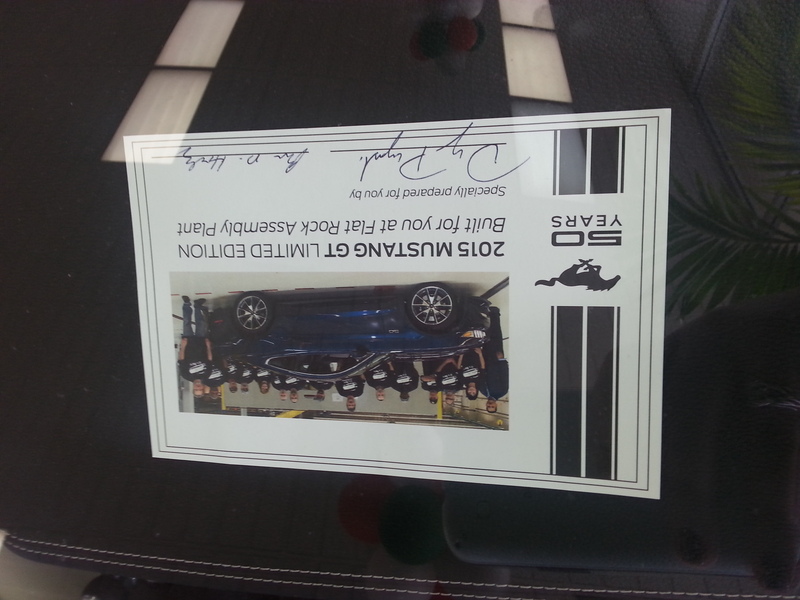 Ford produced only 1,964 of these anniversary edition Mustangs! What makes this Mustang so special? 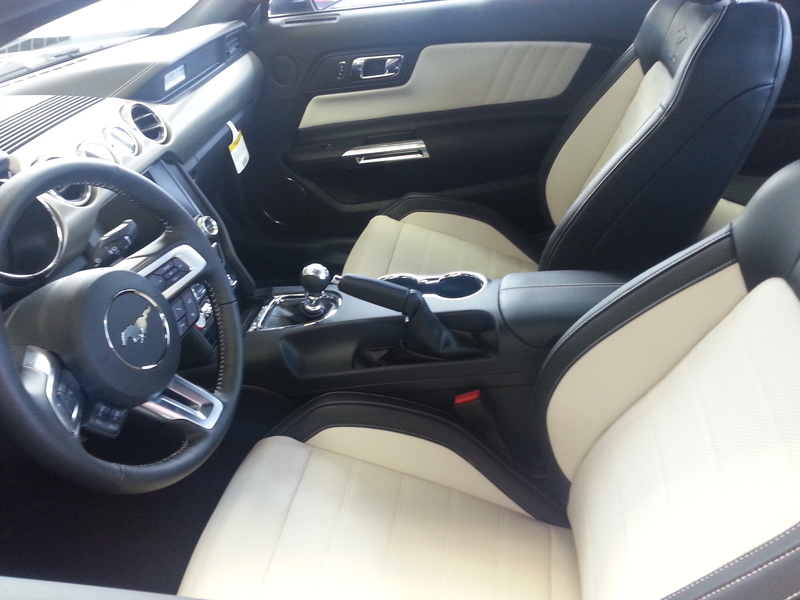 The color of this Mustang, Kona Blue, and it’s two toned interior are exclusive. 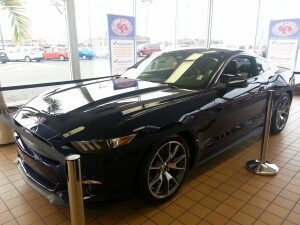 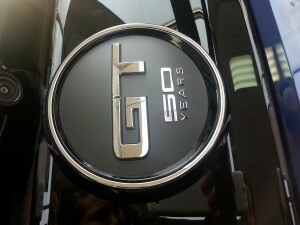 Also, each 2015 model celebrates the milestone with a badge on the instrument panel that includes the galloping pony logo and the words “Mustang – Since 1964.” Visit this beautiful 50th Anniversary Mustang in the Wetzel Ford showroom and be sure to check out the signed picture of the car with the builders! This Mustang commemorates a piece of automotive history!